The torpedo is designed for comfort and speed! Molded in seat with back. You'll be impressed with the quality of this sled! 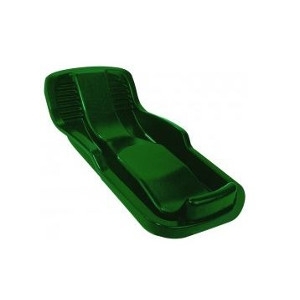 It is made of durable plastic called high density polyethylene (HDPE). It has 2 holes in the front in case you want to add your own rope for towing. Made in the USA! Recommended for ages 4 years old and up.